Embody wisdom and strength through a vision of distinctive style with the Raymond Weil® Tango watch. Mother-of-pearl dial face with Roman numeral quater markers, and genuine diamond hour markers. Diamond weight totaling 0.03 ct.
Signature bezel features six decorative screws. 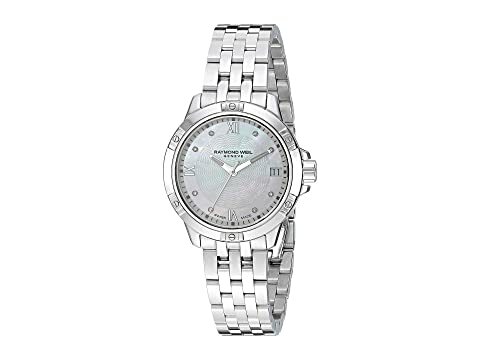 We can't currently find any similar items for the Tango - 5960-ST-00995 by RAYMOND WEIL. Sorry!